Good Monday to you, friends! Can you believe February is winding down so quickly?? I spent the weekend putting my laundry room back together (reveal coming SOON!) and moving on into our powder room that was about ten years overdue for an update. Oh and I also worked all day Friday and again on Sunday at my new part-time job — #whew. I’ll share more about that soon, too. Anyhow, I thought we’d kick off the week with an I Can’t Resist that has been on my heart to share for a while. 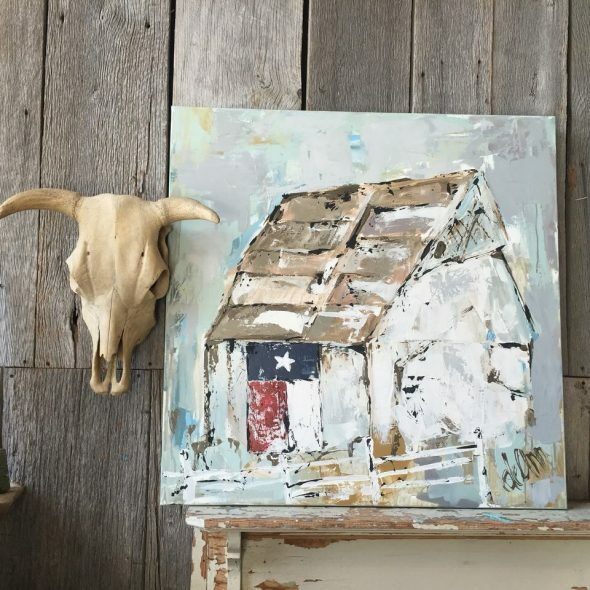 I’m not sure when I first became aware of Deann and her magnificent paintings but I began seeing her pieces everywhere… Country Living magazine, blog after blog, Instagram. And I was hooked. 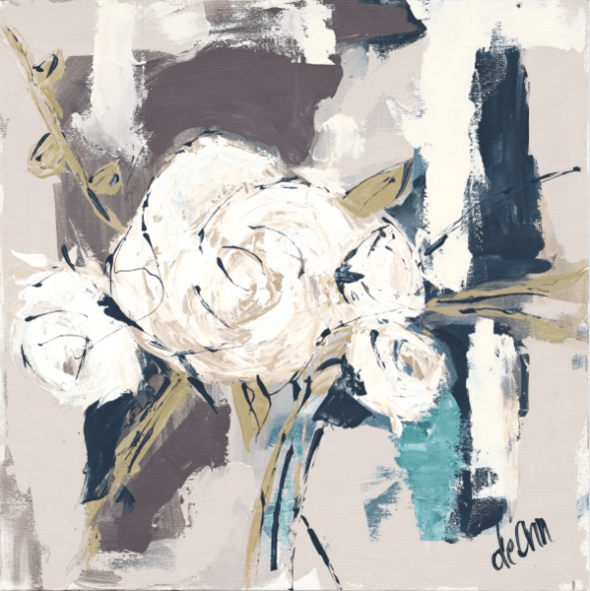 My art budget has been non-existent for over a year now, but I have several of her paintings on my “wish list” for when I can begin updating my wall decor. 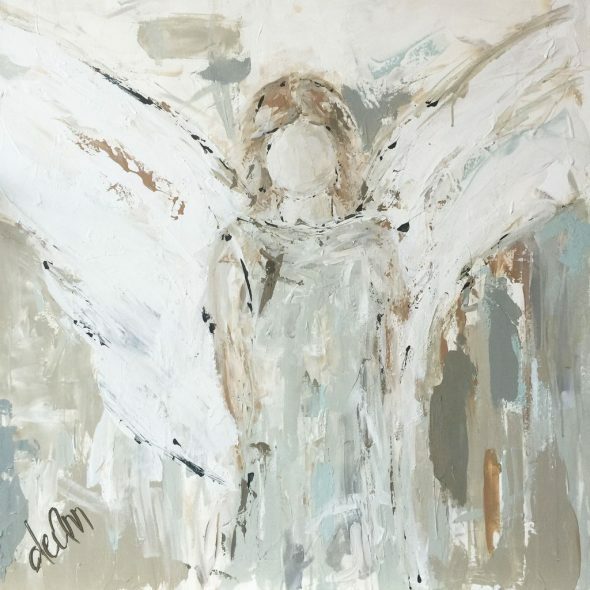 She has an amazing collection of angel paintings you can view HERE. I’ve been known to pull up her YouTube channel periodically because I’m fascinated with her process. 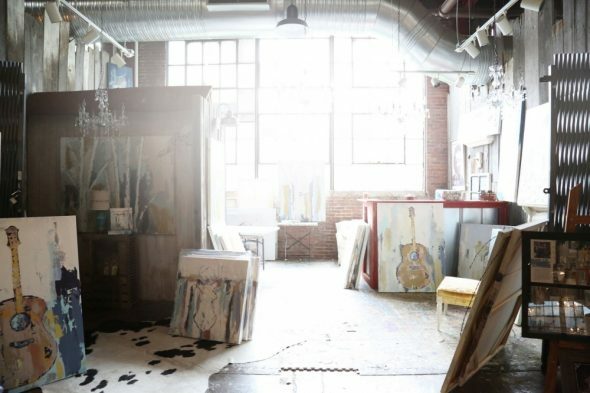 Her Instagram feed is a thing of beauty and she often reposts photos of her work found in some lucky folks’ homes. And there’s your eye candy for Monday… I’m saving my pennies to purchase one, maybe for our eventual new space? Beautiful artwork and that first one is my fav too!! !…hope you get to Franklin!! !